Nickle Plated Master Link for #35 Chain. At TruGrit, we sell the Nickel Plated Master Link for #35 Chain. 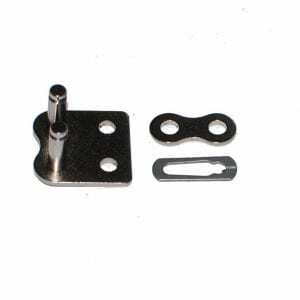 This part is highly durable and allows for sewer camera transporters to be effectively repaired without replacing the whole machine. Our parts are always affordable and made of the best materials. The Nickel Plated Master Link for #35 Chain is durable because it is protected by a nickel coating that also provides a shiny finish. In order to conduct effective, sewer camera inspections, all parts of your sewer transporter need to be functional at all times. Sewer transporters allow industry professionals to inspect the interior of residential, commercial, municipal, and industrial pipes systems and work within a variety of materials like concrete, iron, steel, terracotta, PVC, and HDPE. 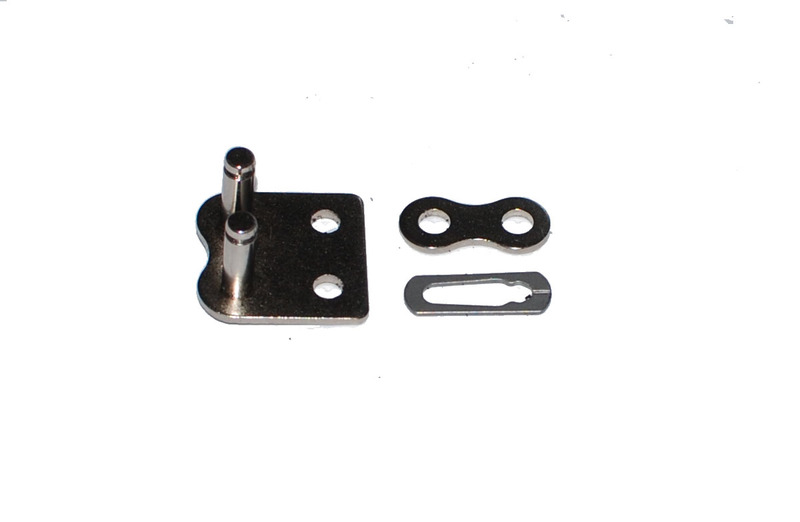 The Nickel Plated Master Link for #35 Chain attaches to your chain and links it to the rest of your machine. Our links are always affordable and built to last. This product pertains to: Sewer Transporter Replacement Chain Links, Sewer Transporter Replacement Cleats, Sewer Transporter Master Link Replacement, Sewer and Drain Inspection Equipment, Trenchless Pipe Inspection Equipment, Drain Transporter Equipment, Residential, Commercial, Municipal Sewer Transporter Equipment, Sewer Transporter Chain Pair Replacement, Sewer Camera Inspection Equipment, and Sewer Main Camera Inspection Equipment.